Led by Commander, Amphibious Squadron (PHIBRON) 5, the Makin Island ARG consists of the Navy's newest amphibious assault ship USS Makin Island (LHD 8), the amphibious-transport dock ship USS New Orleans (LPD 18), and the dock-landing ship USS Pearl Harbor (LSD 52). The Makin Island Amphibious Ready Group (ARG), along with the embarked 11th Marine Expeditionary Unit (MEU), departed San Diego Sept. 29 to begin a MEU certification exercise (CERTEX) in preparation for an upcoming deployment. At Sea - Dock-landing ship USS Pearl Harbor (LSD 52) joined the rest of the USS Makin Island (LHD 8) Amphibious Ready Group (ARG) and the 11th Marine Expeditionary Unit (MEU) Sept. 29 to begin a two-week certification exercise (CERTEX) off the coast of Southern California. This is the final test for the USS Pearl Harbor before a regularly scheduled deployment. At Sea - The Health Promotion Committee aboard amphibious transport dock ship USS New Orleans (LPD 18) sponsored a command health fair Oct. 3 as the ship conducted certification exercises off the coast of Southern California. The health fair promoted a healthy lifestyle among the crew and increased awareness about health issues Sailors and Marines may face during the ship's upcoming deployment. At Sea - Ships assigned to the USS Makin Island (LHD 8) Amphibious Ready Group (ARG) served as the key platform for counter-piracy training conducted Oct. 1 by the 11th Marine Expeditionary Unit during a certification exercise (CERTEX) off the coast of Southern California. At sea - Medical personnel aboard the amphibious assault ship USS Makin Island (LHD 8) were evaluated on their mass casualty response capabilities during a drill, Oct. 2. Sailors and Marines aboard amphibious assault ship USS Makin Island (LHD 8) gathered on the mess decks for a special ceremony and cake-cutting to honor the Navy's 236th birthday Oct. 13. SAN DIEGO - Sailors aboard amphibious assault ship USS Makin Island (LHD 8) have a new way to help them meet both personal and professional goals thanks to a new command-sponsored Legacy Program that officially kicked off during the recent Oct. 1-13 underway period. 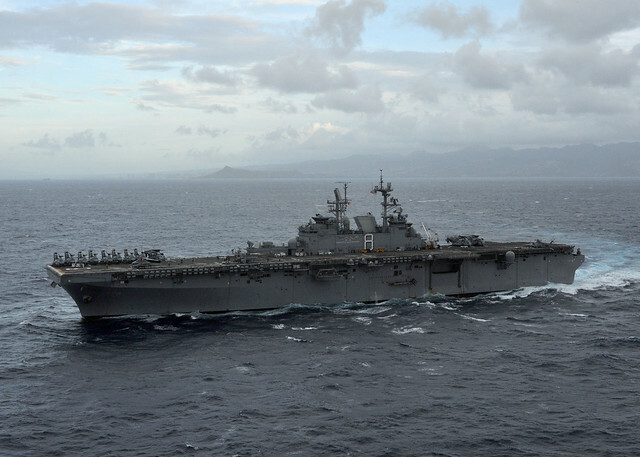 Makin Island Amphibious Ready Group (ARG) returned to homeport Oct. 13 after completing a 12-day certification exercise (CERTEX) with the 11th Marine Expeditionary Unit (MEU) off the coast of Southern California. Dock landing ship USS Pearl Harbor (LSD 52) successfully completed certification exercise (CERTEX) and pulled back into San Diego. SAN DIEGO - Later this year, the Navy will deploy one of its newest, most efficient and most capable amphibious assault ships, USS Makin Island (LHD 8). USS Makin Island will make its maiden deployment as the flagship for Amphibious Squadron (CPR) 5 and the 11th Marine Expeditionary Unit (MEU). Well into next year, CPR 5 and the 11th MEU will work together as they respond as a global force for good, to crisis around the world. SAN DIEGO - Navy ombudsmen and Family Readiness Group (FRG) volunteers from USS Makin Island (LHD 8) were recognized for their volunteer service during a special recognition luncheon on the ship, Oct. 25. PACIFIC OCEAN - Amphibious assault vehicles assigned to the 11th Marine Expeditionary Unit (11th MEU) approach the amphibious assault ship USS Makin Island (LHD 8). SAN DIEGO - The Makin Island Amphibious Ready Group (ARG) is scheduled to depart San Diego for deployment Monday, Nov. 14. USS Makin Island (LHD 8), one of the Navy’s newest, and most efficient amphibious assault ships, will make its maiden deployment as the flag ship for Amphibious Squadron Five and the 11th Marine Expeditionary Unit (MEU). USS PEARL HARBOR, At Sea - - Dock landing ship USS Pearl Harbor (LSD 52) departed San Diego on Nov. 14, carrying nearly 300 Sailors and 400 Marines from the 11th Marine Expeditionary Unit (11th MEU), for a regularly scheduled deployment. SAN DIEGO –- The amphibious transport dock ship USS New Orleans (LPD 18) and embarked Marines assigned to the 11th Marine Expeditionary Unit (MEU) departed Naval Base San Diego, on a regularly scheduled deployment as part of the Makin Island Amphibious Ready Group (ARG) in support of the Navy's Maritime Strategy. SAN DIEGO - Nearly 4,000 Sailors and Marines from the Makin Island Amphibious Ready Group (ARG) and 11th Marine Expeditionary Unit (MEU) departed San Diego Nov. 14, for a regularly scheduled deployment in support of the Navy's Maritime Strategy. USS MAKIN ISLAND, At sea –- When the amphibious assault ship USS Makin Island (LHD 8) left for its maiden deployment, one of its most junior Sailors helped steer the unique hybrid-electric powered ship out of San Diego harbor. USS NEW ORLEANS, At sea –- Sailors deployed aboard the amphibious transport dock ship USS New Orleans (LPD 18) started the first semester of college courses with the ship’s Navy College Program for Afloat College Education (NCPACE) program. USS NEW ORLEANS, At sea –- The religious ministries team aboard the amphibious transport dock ship USS New Orleans (LPD 18) launched its “United Through Reading” (UTR) program for Sailors and Marines to use throughout the ship’s deployment. PEARL HARBOR - Nearly 4,000 Sailors and Marines from the Makin Island Amphibious Ready Group (ARG) and 11th Marine Expeditionary Unit (MEU) arrived in Pearl Harbor, Nov. 21 for a scheduled port visit. PEARL HARBOR, Hawaii –- More than 2,000 Sailors and Marines serving aboard the amphibious assault ship USS Makin Island (LHD 8) arrived in Pearl Harbor, Hawaii for a scheduled port visit, marking the first time Makin Island has visited the state of Hawaii. USS MAKIN ISLAND, At Sea -- Amphibious assault ship USS Makin Island (LHD 8) left for its maiden deployment Nov. 14, using one of its most junior Sailors to help steer the hybrid-electric powered ship out of San Diego harbor. USS PEARL HARBOR, At sea –- The dock landing ship USS Pearl Harbor (LSD 52) is underway once again following a port visit to its historic namesake of Pearl Harbor, Hawaii. 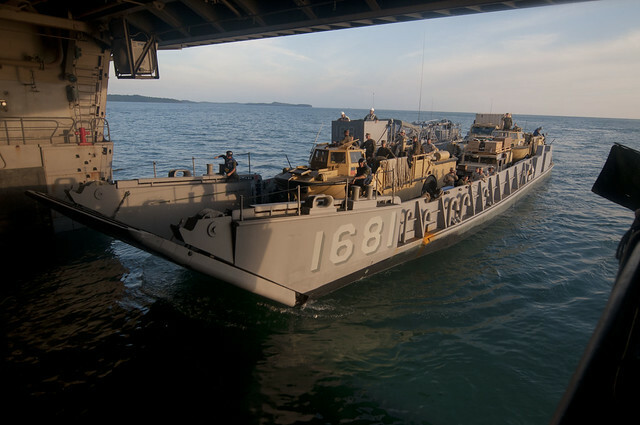 USS PEARL HARBOR, At sea –- Crew members of the dock landing ship USS Pearl Harbor (LSD 52) conducted a combat systems training evolution to keep their warfighting skills sharp on the current deployment. USS MAKIN ISLAND, At sea –- The amphibious assault ship USS Makin Island (LHD 8) departed historic Pearl Harbor, Hawaii following a two-day port visit. USS MAKIN ISLAND, At sea –- Sailors and embarked Marines aboard the amphibious assault ship USS Makin Island (LHD 8) observed American Indian and Alaska Native Heritage Month with the creation of a special art and poetry display. USS NEW ORLEANS, At sea - Amphibious transport dock ship USS New Orleans (LPD 18) departed Pearl Harbor Nov. 23 after a scheduled two-day port visit. USS PEARL HARBOR, At sea - Thirty three Sailors aboard dock landing ship USS Pearl Harbor (LSD 52) had their new rank to be thankful for this Thanksgiving after they were frocked to the next higher pay grade, Nov. 24. USS MAKIN ISLAND, At sea -- Sailors and Marines working in the galley aboard the amphibious assault ship USS Makin Island (LHD 8) provided their shipmates with a memorable Thanksgiving Day feast at sea, Nov. 24. USS NEW ORLEANS, At sea (NNS) -- Sailors and Marines aboard the amphibious transport dock ship USS New Orleans (LPD 18) celebrated Thanksgiving Day at sea, Nov. 24. PEARL CITY, Hawaii - Fourteen Sailors and Marines from the amphibious transport dock ship USS New Orleans (LPD 18) visited a Pearl City, Hawaii, elementary school, Nov. 21, to lend a hand during a scheduled two-day port visit to the "Aloha State." PEARL CITY, Hawaii - Sailors and Marines from amphibious assault ship USS Makin Island (LHD 8) helped to paint Pearl City Elementary School in Pearl City, Hawaii Nov. 22, during a two-day port visit to Hawaii. USS MAKIN ISLAND, At Sea - The Makin Island Amphibious Ready Group (ARG) entered the second phase of its scheduled deployment Nov. 27, when the group crossed the international date line and entered the U.S. 7th Fleet area of responsibility (AOR). USS NEW ORLEANS, At Sea - Amphibious transport dock ship USS New Orleans (LPD 18) crossed the international dateline into U.S. 7th Fleet's area of responsibility (AOR) Nov. 27. USS PEARL HARBOR, At Sea - A Sailor aboard dock landing ship USS Pearl Harbor (LSD 52) advanced to the next pay grade and was introduced as the ship's 2011 Blue Jacket of the Year (BJOY), Nov. 24. USS MAKIN ISLAND, At Sea - Sailors and Marines aboard USS Makin Island (LHD 8) are finding time to work toward college degrees thanks to Makin Island University, the ship's Navy College Program for Afloat College Education (NCPACE) program, that kicked off its first semester of the current deployment, Nov. 29. USS PEARL HARBOR, At sea – Deployed Sailors and Marines aboard dock landing ship USS Pearl Harbor (LSD 52) began using the United Through Reading (UTR) program Dec. 5 to keep in touch. USS NEW ORLEANS, At sea (NNS) -- Sailors aboard the amphibious transport dock ship USS New Orleans (LPD 18) participated in a series of Anti-Terrorism/Force Protection (AT/FP) exercises, Dec. 5 as the ship continued on its current deployment in the U.S. 7th Fleet area of responsibility (AOR). PHILIPPINE SEA (Dec. 7, 2011) Sailors and Marines stand in ranks during a remembrance ceremony aboard the amphibious dock landing ship USS Pearl Harbor (LSD 52) for the Dec. 7, 1941 attacks on the ship's namesake Pearl Harbor. PACIFIC OCEAN –- Ceremonies commemorating the 70th anniversary of the Japanese attack on U.S. forces at Pearl Harbor took place aboard each of the three ships that make up the Makin Island Amphibious Ready Group (ARG) as the unit conducted operations in the Western Pacific Ocean, Dec. 7. USS NEW ORLEANS, At Sea -- Sailors and Marines aboard the amphibious transport dock ship USS New Orleans (LPD 18) observed a moment of silence Dec. 7 to commemorate the 70th anniversary of the attack on Pearl Harbor, which resulted in America's entrance into World War II. USS MAKIN ISLAND, At Sea (NNS) -- A ceremony commemorating the 70th anniversary of the Japanese attack on U.S. forces at Pearl Harbor took place Dec. 7 aboard amphibious assault ship USS Makin Island (LHD 8) as the ship conducted operations in the western Pacific Ocean. USS NEW ORLEANS, At sea -- Hospital corpsmen assigned to the 11th Marine Expeditionary Unit (MEU) conducted combat stress training Dec. 9 while deployed aboard the amphibious transport dock ship USS New Orleans (LPD 18) as the ship conducted operations in the U.S. 7th Fleet area of responsibility (AOR). REAM NAVAL BASE, Cambodia - Marines and Sailors of the 11th Marine Expeditionary Unit came ashore here Dec. 11 from amphibious transport dock USS New Orleans (LPD 18) and dock landing ship USS Pearl Harbor (LSD 52) to begin a cooperative exercise with the Royal Cambodian Armed Forces focusing on medical subject-matter-expert exchanges, mass-casualty response, community outreach, jungle familiarization and platoon and company movements. USS MAKIN ISLAND, At sea –- The more than 2,000 Sailors and Marines deployed aboard the amphibious assault ship USS Makin Island (LHD 8) took a break from normal operations for a special Morale, Welfare, and Recreation (MWR) day. USS MAKIN ISLAND, At sea –- The Navy’s newest amphibious assault ship, USS Makin Island (LHD 8), played a major role in supporting theater security cooperation missions in the Asia-Pacific region by serving as the at-sea launching platform for U.S. Marine air and ground forces participating in Exercise Kilat Eagle, Dec. 14. SIHANOUKVILLE, Cambodia - Sailors assigned to the amphibious dock landing ship USS Pearl Harbor (LSD 52) and embarked Marines of the 11th Marine Expeditionary Unit (MEU) took time out of their day Dec. 15., to participate in a community service project at the Help the Children of Cambodia (HtCC) Goodwill Center. Cpl. Brandon Rivero and Cpl. Petrayris Huertas participate in a gingerbread house-building contest sponsored by the morale, welfare, and recreation department aboard the multi-purpose amphibious assault ship USS Makin Island (LHD 8). USS NEW ORLEANS, At Sea - Amphibious transport dock USS New Orleans (LPD 18) hosted more than a dozen members of the Royal Cambodian Navy (RCN) Dec. 14-15, during Cambodian Marine Exercise (MAREX) 2012. SIHANOUKVILLE, Cambodia - Makin Island Amphibious Ready Group (ARG) Sailors and Marines attended a reception with senior military and civilian officials from the U.S., Cambodia and other nations aboard amphibious dock landing ship USS Pearl Harbor (LSD 52), Dec. 17. USS MAKIN ISLAND, At Sea - Chief petty officers (CPO) and first class petty officers aboard USS Makin Island (LHD 8) joined together Dec. 14, for their first "CPO 365" leadership training session of the current deployment. SIHANOUKVILLE, Cambodia - Sailors from amphibious transport dock ship USS New Orleans (LPD 18), along with Marines from the embarked 11th Marine Expeditionary Unit (MEU), visited the Starfish Learning Center in Sihanoukville, Cambodia for a community service project, Dec. 19. USS MAKIN ISLAND, At Sea - Female Sailors and Marines aboard the amphibious assault ship USS Makin Island (LHD 8) took part in a quarterly "Women at Sea" meeting Dec. 18, to talk about the unique challenges women face serving aboard a U.S. Navy vessel. SINGAPORE - The amphibious assault ship USS Makin Island (LHD 8), along with the embarked 11th Marine Expeditionary Unit (MEU), arrived in Singapore Dec. 21 for a port visit. SINGAPORE - Sailors and Marines assigned to the amphibious assault ship USS Makin Island (LHD 8), along with a surprise visitor from the North Pole, brought holiday gifts to children at the "Child at Street 11" care center in Singapore, Dec. 22. USS NEW ORLEANS, At Sea - Sailors assigned to Fleet Surgical Team (FST) 5 helped the medical team aboard the amphibious transport dock USS New Orleans (LPD 18) perform an emergency appendectomy while deployed, Dec. 22. SINGAPORE - While there certainly wasn't snow in the forecast for the local climate, Sailors and Marines assigned to the amphibious assault ship USS Makin Island (LHD 8) still showed signs of holiday spirit by celebrating the Christmas holiday in Singapore, Dec. 25. USS NEW ORLEANS, At Sea - The religious programs team aboard the amphibious transport dock ship USS New Orleans (LPD 18) handed out donated gifts from various charitable organizations to crew members Dec. 22. USS PEARL HARBOR, At sea - Fifteen new crew members checked aboard the amphibious dock landing ship USS Pearl Harbor (LSD 52) during the ship's port visit to Singapore, Dec. 23-27. USS MAKIN ISLAND, At sea - The leadership of amphibious assault ship USS Makin Island (LHD 8) continues to use social media as a valuable communication tool to keep friends and family members informed on the ship's current operations. USS MAKIN ISLAND, At Sea- Several Sailors and Marines deployed aboard the amphibious assault ship USS Makin Island (LHD 8) were able to speak face-to-face with their families Dec. 29, using video teleconferencing (VTC) technology between the ship and the Fleet and Family Support Center (FFSC) in San Diego. USS MAKIN ISLAND, At Sea - Sailors and Marines deployed aboard the amphibious assault ship USS Makin Island (LHD 8) celebrated the arrival of 2012 with a day of Morale, Welfare and Recreation (MWR) festivities, including a "Jingle Bell" 5k fun run on the flight deck, sports in the hangar bay and a special holiday meal, Jan. 1. USS MAKIN ISLAND, At Sea - With Dec. 31 closing out 2011 and marking the 48th day of the Makin Island Amphibious Ready Group’s (ARG) maiden deployment, social media continues to be utilized as a valuable communication tool to keep friends and family members informed of the ARG’s current operations. USS BATAAN, Gulf of Aden – Bataan Amphibious Ready Group (ARG) and the 22nd Marine Expeditionary Group (MEU) were relieved of their duties in the U.S. 5th Fleet area of responsibility (AOR) by the Makin Island ARG and the 11th MEU, Jan. 6. USS MAKIN ISLAND, At sea - Sailors and Marines deployed aboard the amphibious assault ship USS Makin Island (LHD 8) gathered for a ribbon-cutting ceremony to unveil a newly renovated computer lounge, Jan. 6. USS NEW ORLEANS, At sea - Dozens of Marines from the 11th Marine Expeditionary unit (MEU) embarked aboard the amphibious transport dock ship USS New Orleans (LPD 18) trained alongside the ship's crew of Sailors to learn the principles of shipboard damage control, Jan. 5. USS MAKIN ISLAND, At sea - Medical personnel assigned to Fleet Surgical Team (FST) 5 briefed Marine Corps pilots about medical evacuation procedures aboard amphibious assault ship USS Makin Island (LHD 8), Jan. 6. USS MAKIN ISLAND, At sea - To help kick off a healthy New Year, Sailors and Marines deployed aboard amphibious assault ship USS Makin Island (LHD 8) began a "Biggest Loser" weight-loss and fitness competition, Jan. 8. ABU DHABI, United Arab Emirates - The crew of the amphibious transport dock ship USS New Orleans (LPD 18) hosted a reception on the ship’s flight deck for senior military and civilian officials from the U.S. United Arab Emirates and other foreign nations, Jan. 10. USS MAKIN ISLAND, At Sea - Commander, U.S. 5th Fleet met with Sailors and Marines assigned to amphibious assault ship USS Makin Island (LHD 8) during an overnight visit to the ship, Jan. 14-15. USS MAKIN ISLAND, At Sea - Two Sailors assigned to USS Makin Island (LHD 8) were given the unique opportunity to participate in a Marine Corps leadership development course taught by the embarked 11th Marine Expeditionary Unit (MEU), Jan. 2-18. USS NEW ORLEANS, At sea - Sailors and Marines deployed aboard the amphibious transport dock ship USS New Orleans (LPD 18) conducted a firefighting drill on the ship's flight deck, Jan. 26. USS MAKIN ISLAND, At Sea - Sailors and Marines deployed aboard amphibious assault ship USS Makin Island (LHD 8) honored the life of the Navy's first female aircraft handling officer with a memorial foreign object damage (FOD) walk-down on the ship's flightdeck, Jan. 30. USS MAKIN ISLAND, At Sea - The Supply department aboard amphibious assault ship USS Makin Island (LHD 8) was named winner of the 2012 Capt. Edward F. Ney Memorial Award for Food Service Excellence, Feb. 3. USS MAKIN ISLAND, At sea - Sailors and Marines deployed aboard the amphibious assault ship USS Makin Island (LHD 8) watched Super Bowl XLVI live, in the early morning hours, Feb. 6. USS MAKIN ISLAND, At Sea - Amphibious Squadron (PHIBRON) 5 held a change of command ceremony aboard amphibious assault ship USS Makin Island (LHD 8), while the ship was underway in the Arabian Sea Feb. 12. Six Sailors aboard the deployed amphibious dock landing ship USS Pearl Harbor (LSD 52) earned their enlisted surface warfare specialist (ESWS) pin Feb. 19. ARABIAN GULF (Feb. 19, 2012) - Hospital Corpsman 2nd Class Adam Sumner, assigned to the 11th Marine Expeditionary Unit (11th MEU), leaves his warfare device as a sign of respect to Hospital Corpsman 3rd Class Kyler Estrada during a memorial ceremony. USS MAKIN ISLAND, At Sea - Marines from the 11th Marine Expeditionary Unit (MEU) and Sailors deployed aboard the amphibious assault ship USS Makin Island (LHD 8) celebrated the life and service of Hospital Corpsman 3rd Class Kyler L. Estrada during a memorial service on board the ship, Feb. 17. USS NEW ORLEANS, At Sea - Sailors and Marines from the 11th Marine Expeditionary Unit (MEU) deployed aboard amphibious transport dock ship USS New Orleans (LPD 18) celebrated Black History Month with a celebration hosted by the ship's diversity committee, Feb. 18. USS MAKIN ISLAND, At Sea- Amphibious assault ship USS Makin Island (LHD 8) held a change of command ceremony at sea in the Arabian Gulf, Feb. 29. USS PEARL HARBOR, At Sea - Sailors and Marines from the 11th Marine Expeditionary Unit (MEU) deployed aboard the amphibious dock landing ship USS Pearl Harbor (LSD 52) celebrated African-American/Black History Month with a celebration on the mess decks, Feb. 28. USS PEARL HARBOR, At Sea - Sailors and Marines deployed aboard amphibious dock landing ship USS Pearl Harbor (LSD 52) kicked off its 2012 Navy-Marine Corps Relief Society (NMCRS) fund drive with a bingo game and ice cream social, March 2. USS PEARL HARBOR, At sea - Two Sailors deployed aboard amphibious dock landing ship USS Pearl Harbor (LSD 52) were selected for the limited duty officer (LDO) program, March 9. USS MAKIN ISLAND, At sea - Sailors and Marines from the 11th Marine Expeditionary Unit MEU) deployed aboard amphibious assault ship USS Makin Island (LHD 8) completed the second term of the Navy College Program for Afloat College Education (NCPACE), March 5. USS NEW ORLEANS, At sea - Sailors and Marines aboard amphibious transport dock ship USS New Orleans (LPD 18) celebrated the fifth anniversary of the ship's commissioning March 10 while on deployment in the 5th Fleet area of responsibility. USS NEW ORLEANS, At sea - Sailors deployed aboard amphibious transport dock ship USS New Orleans (LPD 18) started a "Crews into Shape" fitness program, March 9. USS NEW ORLEANS, At sea - The First Class Petty Officer Association aboard the amphibious transport dock ship USS New Orleans (LPD 18) hosted the first steel beach picnic of the current deployment March 10. USS MAKIN ISLAND, At sea - USS Makin Island (LHD 8) became the first West Coast "Large Deck" authorized to operate an afloat Enlisted Information Dominance Warfare Specialist (EIDWS) program and award the EIDWS pin to personnel following final certification by Fleet Cyber Command/U.S. 10th Fleet, March 21. ADLIYA, Bahrain - Sailors and Marines assigned to amphibious assault ship USS Makin Island (LHD 8) and the embarked 11th Marine Expeditionary Unit (MEU), participated in a community relations (COMREL) project at the Regional Institute for Active Learning (RIA) during a port visit to Bahrain, March 13. USS NEW ORLEANS, At sea - With the 2011 income tax filing deadline quickly approaching, Sailors and Marines deployed aboard the amphibious transport dock ship USS New Orleans (LPD 18) are taking full advantage of the Volunteer Tax Assistance (VITA) program offered on board the ship, March 19-24. USS NEW ORLEANS, At sea - Sailors and Marines deployed aboard the amphibious transport dock ship USS New Orleans (LPD 18) celebrated Women's History Month with a celebration hosted by the ship's diversity committee, March 22. DOHA, Qatar – Susan L. Ziadeh, U.S. Ambassador to Qatar, receives a guided tour of USS Pearl Harbor from Cmdr. Homer Denius, Pearl Harbor’s Commanding Officer. ARABIAN SEA (April 2, 2012) - Cmdr. Michael Harris, executive officer of the amphibious dock landing ship USS Pearl Harbor (LSD 52), operates the nozzle of a fire hose during damage control training on the ship's flight deck. USS MAKIN ISLAND, At sea - Chief petty officers (CPO) serving aboard the amphibious assault ship USS Makin Island (LHD 8) put on their service khaki and lined the ship's mess decks to celebrate the 119th birthday of the establishment of the CPO rank, April 1. USS MAKIN ISLAND, At sea - Sailors deployed aboard the amphibious assault ship USS Makin Island (LHD 8) learned new ways to prepare for the upcoming Navy advancement exams during a personal and professional development seminar held in the ship’s chapel, April 3. USS MAKIN ISLAND, At sea - Sailors and Marines deployed aboard the amphibious assault ship USS Makin Island (LHD 8) marked the halfway point of the current deployment by participating in a half-marathon on the ship’s flight deck, April 7. ARABIAN SEA - Choir members aboard the amphibious assault ship USS Makin Island (LHD 8) sing during an Easter sunrise service in the ship's hangar bay. ARABIAN SEA - A Marine washes aircraft aboard the amphibious assault ship USS Makin Island (LHD 8). USS MAKIN ISLAND, At Sea - Sailors serving aboard amphibious assault ship USS Makin Island (LHD 8) were awarded the Enlisted Information Dominance Warfare Specialist (EIDWS) pin during a ceremony on the ship's mess decks, April 4. RED SEA - An aircraft handler signals to an AH-1Z Cobra helicopter assigned to Marine Medium Helicopter Squadron (HMM) 268 (Reinforced) as it takes off from the amphibious assault ship USS Makin Island (LHD 8). USS PEARL HARBOR, At Sea – U.S. Sailors and Marines assigned to the 11th Marine Expeditionary Unit (MEU) hosted three members of Australia’s Parliament for a tour aboard amphibious dock landing ship USS Pearl Harbor (LSD 52), April 9. USS MAKIN ISLAND, At Sea - Sailors and Marines deployed aboard the amphibious assault ship USS Makin Island (LHD 8) are promoting Sexual Assault Awareness Month (SAAM) in a variety of ways on the ship throughout the month of April. RED SEA - Senior Chief Damage Controlman Pisiana Tuitasi demonstrates how to properly apply a banding patch to a pipe during damage control training aboard the amphibious assault ship USS Makin Island (LHD 8). USS MAKIN ISLAND, At sea - Sailors and Marines serving aboard amphibious assault ship USS Makin Island (LHD 8) have a unique opportunity to celebrate Earth Day every day, not just April 22 like the rest of the world. USS MAKIN ISLAND, At Sea - More than 200 Sailors and Marines participated in a special Sexual Assault Awareness Month (SAAM) 5-kilometer run on the flight deck of the amphibious assault ship USS Makin Island (LHD 8), April 28. GULF OF ADEN - Cryptologic Technician (Technical) 2nd Class Joshua Kennedy supervises Fire Controlman 3rd Class Megan Roche as she brings in the phone and distance line during a replenishment at sea on USS Pearl Harbor (LSD 52). USS MAKIN ISLAND, At sea - USS Makin Island's (LHD 8) chief warrant officer (CWO) and limited duty officer (LDO) community kicked off their fiscal year 2014 recruitment campaign with briefings held April 30 and May 4 in the ship's classroom. USS MAKIN ISLAND, At sea - Sailors deployed aboard the amphibious assault ship USS Makin Island (LHD 8) raised more than $50,000 during the 2012 Navy and Marine Core Relief Society (NMCRS) fund drive, which ended April 30. 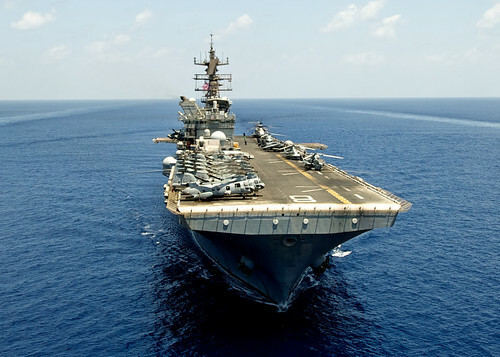 USS MAKIN ISLAND, Gulf of Aden - The Makin Island Amphibious Ready Group (ARG) and the 11th Marine Expeditionary Unit (MEU) were relieved of their duties in the U.S. 5th Fleet area of responsibility (AOR) by the Iwo Jima ARG and the 24th MEU, May 5. USS NEW ORLEANS, At Sea - Sailors and Marines aboard the amphibious transport dock ship USS New Orleans (LPD 18) were treated to a "Cinco de Mayo" themed celebration during a "steel beach" picnic, May 5. USS MAKIN ISLAND, At Sea – First class petty officers serving aboard the amphibious assault ship USS Makin Island (LHD 8) learned about naval history and heritage from the ship’s chief petty officers (CPO) mess May 10, during Phase II training of the Navy’s CPO 365 program. USS NEW ORLEANS, At Sea - The Health Services department aboard amphibious transport dock ship USS New Orleans (LPD 18) hosted safety stand-down training for Sailors and embarked Marines assigned to the 11th Marine Expeditionary Unit, May 11. USS NEW ORLEANS, At sea- Representatives from the Department of Veteran Affairs (VA) visited the amphibious transport dock ship USS New Orleans (LPD 18) May 10, to talk with Sailors and embarked Marines about educational benefits for separating service members. USS MAKIN ISLAND, At sea - The amphibious assault ship USS Makin Island (LHD 8) held a special Mother's Day meal on the ship to honor deployed Sailor and Marine moms, May 12. PHUKET, Thailand - The amphibious transport dock ship USS New Orleans (LPD 18), the amphibious dock landing ship USS Pearl Harbor (LSD 52), along with embarked Marines assigned to the 11th Marine Expeditionary Unit (11th MEU), arrived in Phuket, Thailand May 14, for a scheduled port visit. USS NEW ORLEANS, At Sea - The amphibious transport dock ship USS New Orleans (LPD 18) earned its second consecutive Navy Surgeon General's Health Promotion and Wellness award, also known as the "Blue H" award, for excellence in health promotion programs, May 4. PHUKET, Thailand - USS Pearl Harbor (LSD 52) Sailors and embarked 11th Marine Expeditionary Unit (MEU) Marines participated in a community service (COMSERV) project at an orphanage in Phuket, May 15. PHUKET, Thailand - Sailors from USS New Orleans (LPD 18) and USS Pearl Harbor (LSD 52), along with embarked Marines assigned to the 11th Marine Expeditionary Unit (MEU), participated in a community service project at the Phuket Soi Dog Foundation, May 15. PHUKET, Thailand (NNS) -- Sailors assigned to the amphibious transport dock ship USS New Orleans (LPD 18) and embarked Marines assigned to the 11th Marine Expeditionary Unit (MEU) participated in a bilateral community service project with their Royal Thai Navy counterparts at two Phuket schools, May 15. PHUKET, Thailand - Sailors from the amphibious transport dock ship USS New Orleans (LPD 18), the amphibious dock landing ship USS Pearl Harbor (LSD 52), and embarked Marines assigned to the 11th Marine Expeditionary Unit (MEU) participated in several community service projects with the Royal Thai Navy May 15. SEPANGAR, Malaysia - The amphibious assault ship USS Makin Island (LHD 8), along with the embarked 11th Marine Expeditionary Unit (MEU), arrived in Sepangar, Malaysia May 18, for a port visit. KOTA KINABALU, Malaysia - Sailors and Marines deployed aboard the amphibious assault ship USS Makin Island (LHD 8) volunteered their time with children at the Bukit Harapan Therapeutic Community children's home in Kota Kinabalu, May 19. USS MAKIN ISLAND, At Sea - The amphibious assault ship USS Makin Island (LHD 8) is underway following a four-day port visit to Sepangar, Malaysia, May 18-21. HONG KONG - The amphibious transport dock ship USS New Orleans (LPD 18) and embarked Marines assigned to the 11th Marine Expeditionary Unit (MEU) arrived in Hong Kong for a port visit, May 23. HONG KONG - The amphibious assault ship USS Makin Island (LHD 8), along with the embarked 11th Marine Expeditionary Unit (MEU), arrived in Hong Kong May 25 for a port visit. 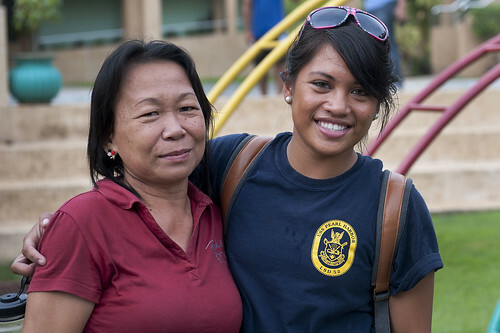 CEBU, Philippines - Thirty Sailors from amphibious dock landing ship USS Pearl Harbor (LSD 52) and embarked Marines assigned to the 11th Marine Expeditionary Unit (MEU) took part in a community service (COMSERV) project at the Children's Shelter of Cebu in Cebu, Philippines, May 28. HONG KONG - A group of Sailors and Marines from USS Makin Island (LHD 8) and the embarked 11th Marine Expeditionary Unit (MEU) joined local volunteers to help deliver bags of food to residents of the Kwai-Chung Elderly Center in Hong Kong during a community service project May 26. HONG KONG – A group of 24 Sailors and Marines from amphibious assault ship USS Makin Island (LHD 8) and embarked 11th Marine Expeditionary Unit (MEU) spent a day at a local dog shelter as part of a community service project in Hong Kong, May 27. USS MAKIN ISLAND, At sea – Sailors serving aboard USS Makin Island (LHD 8), along with Marines from the embarked 11th Marine Expeditionary Unit (MEU), paused from their daily operations to observe Asian and Pacific American Heritage Month with a ceremony on the ship's mess decks, May 31. SASEBO, Japan - The amphibious transport dock ship USS New Orleans (LPD 18), and embarked Marines assigned to the 11th Marine Expeditionary Unit (MEU) arrived in Sasebo, Japan for a scheduled port visit, June 1. USS PEARL HARBOR, At Sea - Sailors and Marines deployed aboard the amphibious dock landing ship USS Pearl Harbor (LSD 52) and embarked 11th Marine Expeditionary Unit (MEU) remembered the 70th anniversary of the Battle of Midway during a commemoration ceremony, June 4. USS MAKIN ISLAND, At sea (NNS) -- A group of Sailors and Marines serving aboard the amphibious assault ship USS Makin Island (LHD 8), including the ship's commanding officer, received special hand-made quilts from the "Stitchen Sisters of Michigan" quilting group, June 8. USS MAKIN ISLAND, At Sea - Sailors and Marines deployed aboard the amphibious assault ship USS Makin Island (LHD 8) joined together on the mess decks for a ceremony commemorating the 70th anniversary of the Battle of Midway. PEARL HARBOR - The amphibious transport dock ship USS New Orleans (LPD 18) and embarked Marines assigned to the 11th Marine Expeditionary Unit (11th MEU) arrived in Pearl Harbor for a port visit. 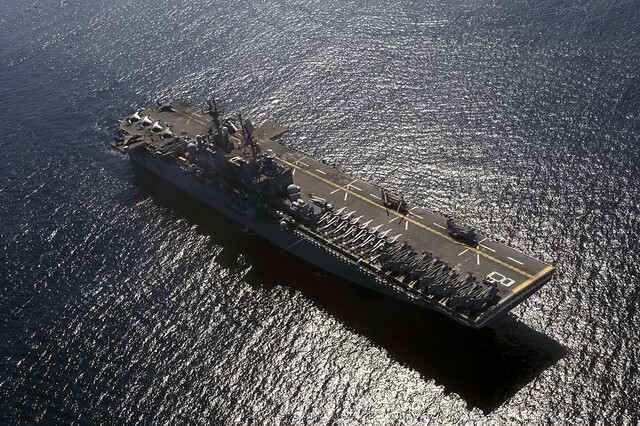 SAN DIEGO – More than 1,700 Sailors assigned to the Makin Island Amphibious Ready Group (ARG) are scheduled to return to their homeport of San Diego following a seven-month deployment. SAN DIEGO - Amphibious dock landing ship USS Pearl Harbor (LSD 52) arrived at its homeport of San Diego after completing a seven-month deployment. SAN DIEGO - Amphibious assault ship USS Makin Island (LHD 8) returned to its homeport of San Diego following completion of the ship's historic maiden deployment. SAN DIEGO - Amphibious transport dock ship USS New Orleans (LPD 18), and embarked 11th Marine Expeditionary Unit (MEU), returned to their homeport of San Diego.